From flashy surf guitar sounds to ninth century Chinese poetry, from modular playlists to Egyptian rhythms, the Silk Road Ensemble mixes the modern and the traditional, breaking boundaries of ethnicity and era. The Silk Road Ensemble with Yo-Yo Ma’s A Playlist Without Borders is the groundbreaking group’s fifth recording and the first since 2009’s Grammy nominated Off the Map. With A Playlist Without Borders, The Silk Road Ensemble once again demonstrates that there are no barriers for those approaching music with an open mind. 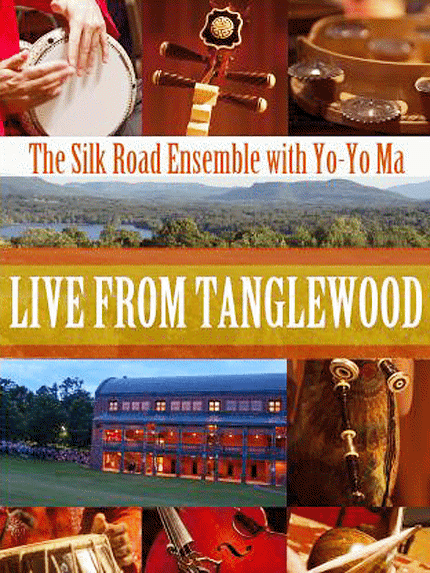 The deluxe CD/DVD set includes Live From Tanglewood featuring an exhilarating Silk Road Ensemble concert performance filmed at the 2012 Tanglewood festival.